Try this quick, single-serving of cinnamon-spiced apples cooked in a zip-lock bag or a small microwave-safe bowl, if you prefer. Cinnamon-spiced Apples in a Bag are irresistible when poured over cinnamon tortilla or pita chips, oatmeal, ice cream, or yogurt. What crazy thing do you eat when you crave something sweet but there are no obvious desserts in the house? One of my sisters confessed to eating dry cake mix. She made sure we knew that was a long-g-g-g time ago. Doesn’t that make any confession easier when you say it that way? Chocolate chips are my straight-out-of-the-pantry sweet. They’re made even better when carefully balanced on top of a graham cracker. Fortunately, I don’t always have those in the house. 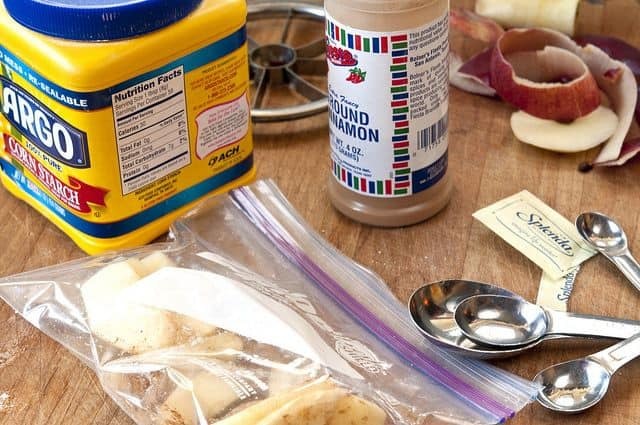 Did you notice how much time these secret treats take to prepare? Probably because when a hungry women is desperate, there’s no time to mess around. Recently, we experienced such an occasion. When my sister and I got home from sitting with my dying father one evening last week, we wanted something sweet. As luck would have it, there was nothing but raw cookie dough in the freezer. That’s OK in a pinch but I really wanted something warm. Then I remembered a tip I picked up from my new co-worker, Christa. She mentioned microwaving a sliced apple to use as a quick addition to oatmeal or ice cream. It sounded like the perfect topping for cinnamon chips similar to the Apple Buenos we used to enjoy at Taco Bueno on Sunday nights after church. I tried it and was instantly smitten. I predict you’ll feel the same. Mix and nuke in a disposable plastic bag for quick clean-up. I use Ziplock freezer bags approved for the microwave. If that makes you nervous or uncomfortable, see this article. Or, make “Apples in a Bag” in a bowl instead. This recipe is versatile. Substitute pears for apples or change up the spices. After the first time, you won’t need a recipe. Because it only makes one serving (unless you use a huge apple), there are no leftovers to call your name. The perfect snack/dessert when you must have a sweet but the pantry is empty. See nutritionals below. Reopen bag just a touch to vent. Microwave on High for 2 minutes-- longer if you use a big apple. Carefully (it will be HOT and steamy) open bag and pour over plain or cinnamon-sugar pita chips, flour tortilla chips, oatmeal or ice cream. 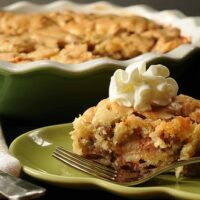 Posts Related to "Apples in a Bag: A Quick Snack in Under 5 Minutes"
Swedish Apple Pie is baked in a pie plate without a crust. Apples are covered with a sweet batter. Just found this on Pinterest. It looks so very yummy. I know this post has been around for a while, but, hey, it’s new to me! 🙂 may I ask, though, what type of chips are you using please? (as a very young child, I used to eat at a restaurant called Taco Villa-similar to Taco Bell-and they had an “apple burrito” that was cinnamon cooked apples rolled up in a tortilla and then fried and smothered in cinnamon sugar. 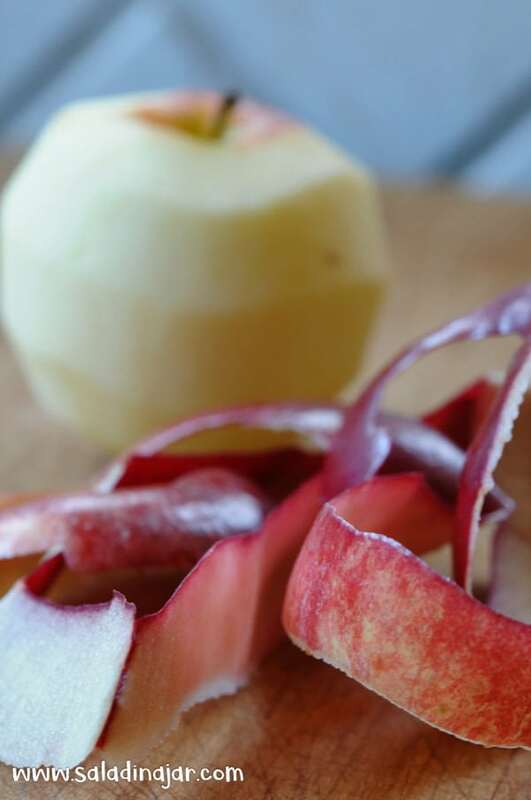 Oh my goodness, seeing this recipe made my mouth water for an apple burrito). Excuse any typos, it is a bit hard to see through all of the drool on my ipad screen to check for errors. Just made this dessert for 3 people with Golden Delicious Apples. But I microwaved them in a microwave glass dish for 4 minutes and the apples turned out PERFECT!! Absolutely Yummy!! Thanks for sharing!! Before microwaving food in a plastic bag as clearly stated in this recipe, please do research. The Ziploc site claims all of its bags are microwave safe. Other articles agree, though state that off-brand bags may not be safe. (I have no connection to Ziploc.) When I saw this recipe, I immediately became concerned. Please do due diligence before using a plastic food bag in the microwave. Can it be made without the cornstarch? Why would you need it? Yes, you can make this without starch. Using cornstarch makes it more like apple pie filling, which we enjoy. Suit yourself. Just tried “Apple in a Bag” LOVED IT!!!!!! It worked so much better than when I tried to bake apples in the oven. I will always make them this way from now on!!!!! Thanks! Do you have to use a baggy? Or can you use a bowl! I first wanna say thank you very much for a great quick and easy recipe! Second thanks for the link on the plastic being safe! If your reading this and unhappy because you let the media scare you to death over plastic water bottles (because that is where this scare comes from) then why do you feel the need to induce your fear to others and taint this woman’s wonderful advice and recipe! You may cook in whatever you choose she stated that but you choose to disrespect her by posting your warnings instead of educating yourself by using her link to see the independent testing that has been done on these products which were found to be SAFE! Just like Tv dinners and turkey bags! I know this was posted awhile ago but it us new to me on pinterest! Thanks again! Are you asking about crepes? I use the uncooked tortillas from Costco but you can use any flour tortillas from the grocery store. What a delightful treat for my diabetic aunt in the nursing home. I top bluebonnet ice cream…the only kind she can have …now all the workers have the receive..I make it for 10 residents now..and they are so happy with their new treat and u plan to talk the cooks into providing this treat to all residents.. I am truly thankful for this receipe. I made this for my diabetic aunt in nursing home. I top her bluebonnet ice cream she can have. Such a delightful way to make her happy. Now I’m making it for ten people around her, and the workers all have the receive now..thanks again. Thanks so much for writing! How generous of you to share the apples with other people around your aunt. You have made my day! You really saved me with this recipe! Oh haha nevermind I get it now. How long in the freezer do they go for? Hi Paula! I love your recipe but I don’t really want to microwave a plastic bag!! Not sure if that is considered “toxic”. Is there another way to do it?? THANKS SO MUCH!!!!!! If you read through the post, you will find more information and links about the safety issues some have with microwaving in plastic bags. 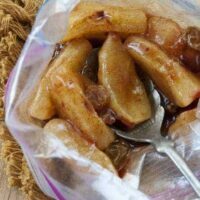 I also wrote about alternate ways to make “apples in a bag” if you don’t want to use the microwave. Just found and made this. I switched the water out for vanilla and triple the recipe. The apples were still crunchy but soft. Amazing. Simply amazing. Thank you so much! This would be fabulous over waffles. If you want to go to the trouble. Folks, this sounds amazingly good and super simple. However and for the sake of good health, can everyone use a small glass container instead? I know it entails cleaning rather than trashing, but your body and planet will both appreciate it. For a quick treat, try cooking your frozen cookie dough in the microwave. Thirty seconds or so for an ounce and a half of dough should do the trick. …So I made these tonight for dessert..and my husband (Robert) and I both just LOVED IT!! And this something we will definitely be having this rather then a plain apple… So, I got to thinking..I am going to make a few pie crusts and cut them into pieces then make an egg wash to brush over them, and sprinkle with some cinnamon/sugar and bake, just to have with these apples. Mmmmm. Oh now I can’t wait for tomorrow!! THANKS so much for sharing!! AMAZING! Who knew a microwaved apple could taste so good. Definitely my new favourite! Thanks for the great recipe! I just wanted to say that I was feeling very sad today, and now I am eating this and actually smiling :). Thank you for posting this easy, tasty, healthy recipe!! Is it safe to use a freezer quality zip lock bag in a microwave? I know it’s not save to boil one. The manufacturers have cautioned people about using a zip lock bag as a boil bag. I don’t know about a freezer quality bag, though. I addressed this issue under number two in the above post. Check out that link. Also interesting is what Ziplock bags has to say about the whole issue. Go to the FAQ on their website. Enjoy your apples, no matter what you cook them in. Where are you getting this calorie info? The apple alone is about 60-70 calories (depending on how big your small apple is) A small handful of raisins would be about 1/4 cup or 45 calories. The cornstarch adds about another 10. So you are looking 115 calories. A small apple = 50-55 calories. Sweetener = no calories. Technically, you could add a couple. Raisins –I specified that raisins are not included. No measurement was given but I would probably not use more than a tablespoon or so with a small apple. If you add, sugar, honey or raisins, your calorie count will be more. Of course, using a bigger apple will increase the calories but then you probably will have more than one serving. Hope that helps. Splenda is absolutely horrible for you. Artificial sweeteners are so toxic. If you have to use one i’d go with liquid stevia.. I believe that the plastic bag manufacturers themselves don’t recommend microwaving these bags – check the box or their website. YIKES!!!! 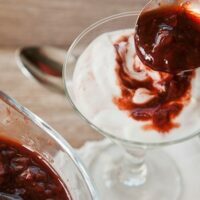 I’m assuming you read the entire post and know that I suggest you make these in a glass bowl if you are uncomfortable with the idea of plastic in the microwave. They will still be delicious and I don’t mind at all. But since you took the time to write, I thought you might find the following link on the Ziploc website interesting. http://www.ziploc.com/pages/TopFAQs.aspx Also, the pint-size Freezer ziploc bags I use and recommend for this give specific instructions for using in the microwave. Check it out. this is great with Dannon light & fit greek 80 cal yogurt!! I found this on Pinterest and it was a great warm snack on this rainy gloomy day. Thank you! Holy jeepers these were delicious. I ate mine with Healthy Choice frozen greek yogurt. So good! I don’t think I can eat an apple raw again! Just made this “as is” for the first time with my 2 year old on a cold winters night….. delicious! Next time I will experiment a little more (adding vanilla, nuts etc), but for this first time out it was excellent and very healthy! I did use a tupperware just b/c I have a fear of microwaving plastic bags….. thank you! Please please do not microwave or heat plastic bags!!! Or any other plastic especially in the microwave! This is extremely toxic! Please look it up and never do it again. Use glass. Love the concept…..is the cornstarch necessary or do you think I could get away with not using it. By the way, it’s my first time to your blog. Can’t wait to explore more! The recipe looks great but I really love the article on plastic! ha ha! I know, I’m a nerd. I haven’t necessarily stopped using plastic in the MW but I’ve questioned the contents of my food since that stupid story aired. Now I can go about not worrying about it with a clean conscience LOL Thanks for the great recipe too. I made it, and it´s just delicious and simple. I´m follow you at Pinterest and right here. Kinds regards from Venezuela. Made this last night. Didn’t use the plastic bag. Used a cereal bowl. Ate the apples with a scoop of Edy’s Slow Churned Vanilla Bean Ice cream..delicious! Didn’t miss a crust at all! Low calorie answer to apple pie! I made this for breakfast onmy oatmeal this morning and then had to make more to take to work tonight cause it was so good! My new favourite! 10.00pm in the evening and I have just come across your recipe on Pininterest,and guess what …..had to make it straight away! No cornstarch so used flour instead,will use on my muesli for breakfast to-morrow,smells divine.Thank you! Hoping your breakfast was delicious! I normally make fried apples in a skillet to eat over biscuits w/sugar, nutmeg, ginger, and cinnamon. But these will be good to do in advance and grab and microwave at school or work. Gonna try it today, I have 2 apples left in my basket and will pick up some more at the store later on. Thanks for this recipe and for the link. I prefer not to microwave in plastic but have no problem substituting a bowl without having to resort to namecalling. Came across this recipe on Pinterest and wanted to try it immediately- but was distraught to find that I didn’t have cornstarch. Desperate for a snack, I decided to play around with the recipe. I used 1/4 teaspoon (then a splash more, it was a big apple) of lemon juice in place of the cornstarch and water and it was fantastic. There is no excuse for pure rudeness. She recommends using a microwave-safe bowl and covering it with a plate. That’s what I did and it worked perfectly. Sounds delicious! You could also put them in those little single serving pie crusts – like a mini apple pie for one! Janine, this is a FABULOUS idea. Since I make my own tart shells, I always have them in the freezer. I checked it out. A bit more complicated but sounds totally delicious. Love this! I added splash of vanilla and a dash of salt to bring out sweetness of apple. Next time, I am going to add some walnunts or pecans. Tanks for the healthy dessert that feels like you are cheating. All of these sound like great additions. Love, Love, Love this recipe. I love it over my oatmeal. I have made it multiple times since I found this recipe. Could I use honey instead of sweeteners/cornstarch?! Just curious… I am diabetic and this sounds like an answer to a sweet-toothed prayer. But honey is the easiest of the sweeteners for me to use and control my blood sugar. And I am not enough of cook to know if that substitution will work???? I tried this for lunch, yum yum! I didn’t have cornstarch, so used the same amount of flour. Turned out great! I didn’t put it on anything, just ate it as a side with a sandwich. this was simply delicious. I used it with chocoalmond icecream and was awesome! Glad you like it Becky. I’m eating this right now and boy does it taste good! Hi! These look sooo good! I featured it on my Friday Five on my blog today!! I love apples, apple pies, and all recipes including apples! This is a snack I can’t wait to taste!!! This will be great treat at the cabin in the mountains this fall. We will be also adding a little oats or oatmeal with this on homemade vanilla ice cream! YUM!!! I can see your imagination has been stoked by these apples. Enjoy! I just started Weight Watchers, and I made these for a snack. It was just like eating apple pie filling without the guilt and zero. Points! Good luck with Weight Watchers. Glad the apples fit into your new regimen. Just made this and must say they are yummy! Yum! I made these apples for breakfast and poured them over my oatmeal. I can’t wait for tomorrow morning so I can eat it again! DELISH! I’m not a huge fan of cooked oatmeal but I might be if I covered them with apples like you did. Thanks for writing. Fried cinnamon apples? Sounds like good memories to me. I can’t even put into words how much I love this. Didn’t have any ice cream, just ate them plain right out of the microwave. So delicious. Don’t you love it when you find something delicious that is also easy? Over ice cream? Wish I had been there! Did you know that splenda also makes a spun brown sugar? It is worth having! Just made this and WOW! so absolutely delicious and will definitely be a hit in my house this fall. thank you for sharing!! 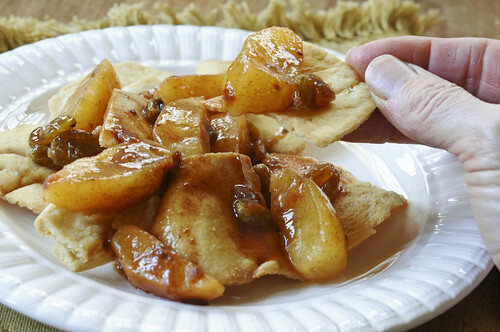 Could you make them in a bigger bag with more apples and freeze? I don’t know why not. But it will increase your cooking time in the microwave significantly. You are my kind of girl. See something you want to do? Then just do it now. Glad you liked it. Could you use anything other than corn starch? I just made these and put them on coffee ice cream. They are very good and not super filling! Thanks for sharing the recipie! Coffee ice cream? My favorite! Sounds wonderful! Thanks for sharing your idea. I usually avoid sugar and microwaves, so I made the apples on the stove. I added ginger and clove along with the cinnamon and used coconut crystals as sweetener. The apples are delicious! Yes, I hav a small pan to clean, but my kitchen smells like Christmas. Not a bad trade-off. Thanks. No matter how you do it, the smell is fabulous! Agreed. I was tickled to see this recipe as our family does a similar version. We have 2 daughters, 10 & 13 yrs, and both take dance classes during the week…5 each! We’re always on the go. We do the solar version of this one…place all ingredients in a zippy bag and toss on the dash of your car. Of course it helps that we live in Southern Nevada in the Mojave desert 🙂 Everything melts up nicely. Be careful…they still get quite hot as the windshield reflects all that solar power right on your bag of treats. They’re good to go after a 20 min car ride, but especially melty and luscious after being there through an hour long class as well. Scoop them out with pita or bagel chips, or just eat with a spoon. We use the dash to keep hot sanwiches warm until they reach their destination as well. This would also work for me in Texas right now. Love it! I just found your blog today…it’s wonderful! 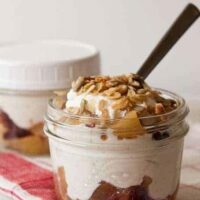 I make baked apples in the microwave and add them to vanilla yogurt (which I’ve recently started making in my crock pot) for a yummy and filling breakfast. Picked up your recipe from the Pinterest and know exactly what it will taste like. Can’t wait to try it. I have added it already to my travel receipes for when we stay for a week or two on vacations in a condo. Not much to pack for a good dessert over ice cream or with the cinnamon pita chips. Love to take comfort foods for a little treat in the evenings. I’ll bet this would taste great over granola too…. I can’t wait to give it a whirl. Jayme, Love the granola idea. Oh yes, fabulous. Would be just like dessert. I have a bunch of tortillas I need to use- I guess I’ll make up some cinnamon chips, yum… And make them even yummer 😉 by adding apples in a bag. Dessert! Kendra, You could also make apple burritos. Yum! It is official…. these were LOVED by my kids. I can’t wait to cook these when kids’ friends are here playing… they will all be running in the kitchen to check out the smell! I cooked some in ziplocks, then decided to cook them in small Rubbermaid bowls so I could just tell the kids to grab a fork. Glad your kids approve. Cooking in bowls makes sense if you’re going to eat them straight up because the apples are kinda hard to eat out of the bag. What a great fast and easy recipe. It’s like always having dessert on hand! Oh my, this is so easy and you have me drooling all over my keyboard! Just found your website (thanks to a WWer) and so happy I did! Look forward to discovering more….. Salad in a Jar, Apples in a Bag…what more treats do you have in store for us? 😉 Love this recipe–so clever! Great idea. My recent “need a snack attack ” ended up with a broiled banana (sliced down the middle) with a bit of butter and brown sugar on it. 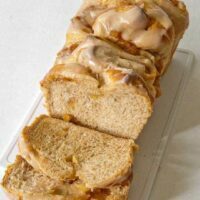 One of my favorite apple desserts involves apples, crescent rolls and mountain dew. Have you had that? Debby, I’m going to try that one. Thinking that banana would be good over ice cream. Hi. I know this is nearly four years after your recipe was published, but things in Pinterest don’t operate on “real time,” sometimes, LOL. I think both Debby’s idea and yours would work well over a really good ice cream; broiled bananas and nuked apple slices, perhaps with some lightly toasted chopped almonds and toasted chopped pecans…??? Now I’m making myself hungry, and I just finished lunch! But seriously, the bagged apples would be so great at work; I work in the ICU of our local hospital, and on the midnight shift, we’re always looking for something new and delicious (and healthy, sometimes) to eat and keep our energy up. Ooh, that sounds awesome. And I do love that it’s so easy. You could make a really fast apple crisp by just sprinkling on some granola or even just some nuts. Love it! Paula, this is brilliant! Thanks so much for sharing this quick and easy one…will definitely be making this one! This is pure genius. Thanks for sharing it. What a great way to enjoy the Cinnamon Pita chips that my husband loves. Thanks for the quick and easy idea! You can bet I’m going to try this! I’ve been watching what I eat, and sweets are always a challenge. I love fruit plain, but dressing it up a bit like this will be a great treat! Well, you’ve convinced me, dear! There are no more reasons why I should delay making apples this way. You can also add some ginger, clover, nutmeg … these spices taste really good with apples. Oh yes, apple pie kind of spices would be perfect. I can’t wait to make these for my kids’ snacks. I love an easy recipe. And I bet it makes the house smell good. Der, you are so right. The aroma would sell a house in an instant. This is soooo funny! Didn’t anyone else notice what you said? Hi Paula, this is my first visit to your blog and I love it. I was not surprised to read that you are a follower of Jesus. Your oneness with Him shone through in your yogurt making video which I watched before I even read your About page. Blessings!